We make all of our ciders ourselves in our Ciderworks, in Deloraine. We’ve taken the garagiste approach literally and it’s also where we work on our Targa car. 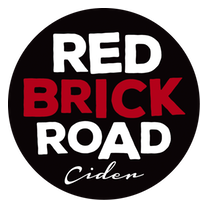 Our approach to cidermaking is simple: real cider made from real fruit by real people. Harvest: The apples are picked when they have the desired flavours and sugar levels. We like to use tree-ripened apples, as we prefer the flavours. It is possible to cool store apples and make ciders all year round, however, we think the cider tastes better when it is made from apples at their prime so we only make cider during the harvest period from late February through to June. Washing and sorting: the apples are washed and sorted. We use only A grade juicing apples for making our ciders. They are a bit blemished and of varying size, meaning they’re not suitable for the eating market, but the flavours are just as good. Crushing: The apples are crushed, or milled, into pomace, which is muesli like consistency. Pressing: The pomace is pressed to produce fresh apple juice. We oxidatively handle the juice, so it will be a dark chocolate brown colour, which drops out during fermentation. Racking: We let the juice settle overnight, then rack it off the solids prior to fermentation. Fermentation: Our ciders undergo fermentation to convert the sugars to alcohol in tank or oak barrels. We let all our ciders ferment through to dryness, which takes about 10 – 14 days. We use a combination of added wine, beer and cider yeast and also let some of our fermentations occur with the yeast that is present from the orchard. We add a small amount of sulfite once the fermentation is complete and cool the ciders. Maturation: Cider tastes better if you give it time to mature and mellow after fermentation. Sometimes we do this maturation on all the solids (lees) from the fermentation and stir the lees to give more complexity and texture. We mature the ciders for up to 12 months in oak barrels and tanks. Racking: We transfer the cider off from the solids that have settled during fermentation. As we don’t filter this is our only clarification step. Blending: All of our ciders are made as single varieties so we blend them to get the desired cider, balancing acid, textures, length and flavours. Bottling: To prepare for bottling we warm the blended ciders and add sugar. We then add the yeast culture and bottle or keg the cider. Secondary Fermentation: The yeast converts all of the added sugar to carbon dioxide and a small amount of alcohol. This usually takes 5 – 12 days. We then leave the cider for at least a month prior to releasing it. Drinking: This is what it’s all for! Cider is best served at 4 – 6oC.